We have received the following information from TfL. From Saturday 28 October 2017 until further notice route S3 will no longer serve Sutton Hospital or Cotswold Road. This is due to development work at the London Cancer Hub site which means TfL is temporarily unable to use the bus stop in the hospital grounds, where buses currently terminate and stand. Route S3 will now run the full length of Downs Road to terminate and stand at Belmont rail station. It will continue to serve stops in Downs Road (near Cotswold Road) and the stop in the grounds of Royal Marsden Hospital. 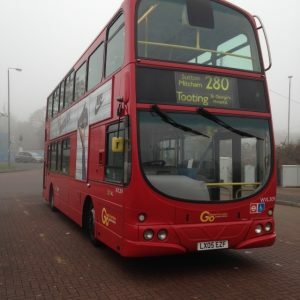 TfL are working with the developers to reinstate route S3 to the redeveloped site when possible. For more information, please visit tfl.gov.uk/TempBusChanges .